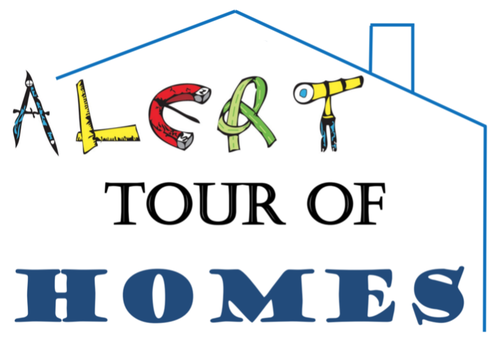 During the ALERT "Tour of Homes" celebrations, students make a 5-to-10 minute presentation sharing what they have found interesting about building a model of their dream home or structure. It is meant to be a low-key public speaking opportunity so students can gain experience and skill planning and rehearsing so they feel confidence when speaking to an audience. The "Walk Down Main Street" challenge is offered to 4th grade students so they can experience pride and joy in explaining construction details, sharing the challenges and solutions of building a model, and sharing an imaginative life story of a day in the life of someone living in the home. The emphasis on coaching and feedback is on student presentation skills and a celebration of their creativity. The checklist and examples of previous student work are here. 5th grade students have been encouraged to make a presentation sharing the trends in the arts, science, technology, society, family life, and culture that would be experienced by the people during the architectural era. In contrast to "A Walk Down Main Street," the "Zeitgeist" presentation (from the German phrase for the "spirit of the age") is intended to foster skills and confidence in researching historical details and organizing a more sophisticated presentation. In addition to the 5th graders, some confident 4th graders have stepped up to the "Zeitgeist" challenge after reviewing the expectations and student-created examples. Presentations come in a variety of forms using a plethora of technology tools. 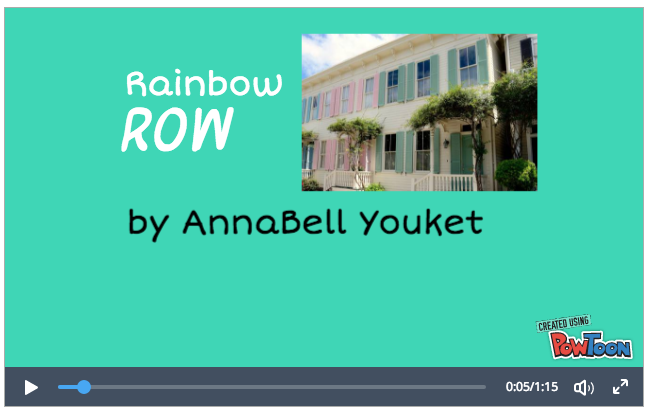 Some students have crafted Google Slide presentations, others have made use of PowToons animations, and some have experimented with WeVideo editing to create multi-media artifacts. 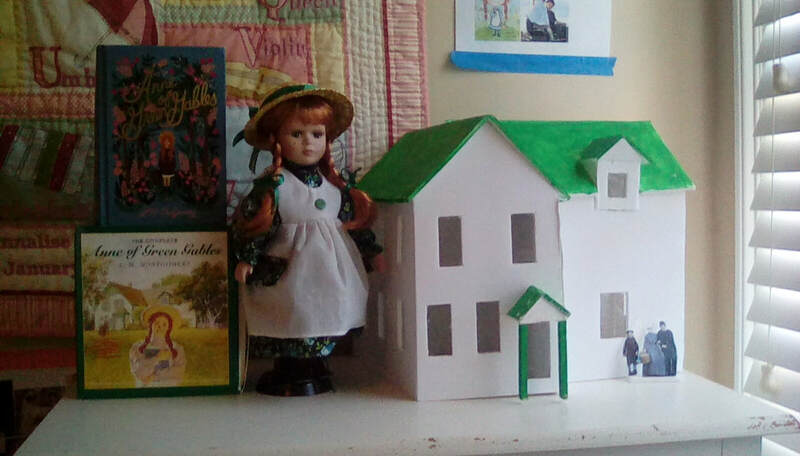 We've also had students create 3-panel display boards from recycled boxes, speak from notecards with their model and blueprint as the visible focus of the presentation, and some hardy, confident souls have chosen to speak extemporaneously. All these experiences have the merit of being learning opportunities in front of a friendly, supportive audience, and we coach students in recording their thoughts and feelings in a post-presentation reflection that they include in their winter progress report. Students receive supportive comments from teachers and classmates immediately after presentations focused on what went well. Families are sometimes surprised the teacher does not mention errors in conventions (capitalization, punctuation, spelling) or "missing" items from the checklists. We have found the aftermath of a potentially stress, anxiety, or tension inducing experience is not a time to effectively coach students on details or suggest improvements. In the weeks following presentations, teachers revisit the student artifacts to discuss areas for improvement in class-wide, small-group, and individual sessions as needed. Paraphrasing or summarizing research information by keeping others' words brief and blending them in to the individual student's ideas and word choices. Families will often note an unevenness to presentations, where one slide is in natural, kid-friendly language and the next slide includes jaw-breaking stumbling-blocks. Typically, large blocks of text from other sources are added as a last-minute "fill in the gap" effort. In the weeks following presentations, we offer them coaching in authentic revisions, taking their presentation and continuing to improve it founded on their presentation-day experiences and reflections. Recognizing and acknowledging sources. Early in the project, we review plagiarism and effective research strategies. Recording sources not only acknowledges the debt to other writers who have gathered and shared information, it allows students to go back and review hazily-remembered details, and gives the presenter and audience members a place to go for further information. In 4th grade, students are expected to record and share the author, title, and date of publication (or the date a website was updated). They can also record the date they visited the website. Some sources, particularly those that may be a collaborative or commercial effort by a large organization, may not record individual authors--in that case the organization or business that supports the website may be considered the author. In 5th grade, students are expected to begin attempting middle-school level standards of the Modern Language Association (MLA) without being perfectly skilled. We have found EasyBib a helpful tool to support students in gathering information about author, title, publisher, place of publication, and date of publication. That being said, some students (usually those finishing in one gallant rush at the end) present a series of hastily-copied links or baldly state their source was "Google." The post-presentation opportunity to look through their history to find the actual sources rather than the search engine may seem like drudgery but will often bear fruit for future presentations. The quality and resolution of images is a frequent post-presentation talking point. We will review search settings and watermarks so future projects are more likely to have high-quality images. Reviewing, literally "looking again" at their own presentation, and locating the source of the image to acknowledge our debt to others' work is a worthwhile experience. Staying relevant, balancing the education and entertainment qualities of a public speaking experience, is usually the focus of our final review.